White Polo Neck Top - Topshop Feather Strappy Heels - Missguided Tartan Check Leggings - Topshop Stripe Dress - George at Asda(*) Glitter Crop Top - Glamorous (50% off with the code SAVE50) Striped Crop Top - Topshop Oversized Check Scarf - New Look Ripped Joni Jeans - Topshop Expect a lot more blog posts for the next month or so! I'm loving being home at the moment and it's so nice to not have so much stress from university work and being able to do a bit of relaxing! 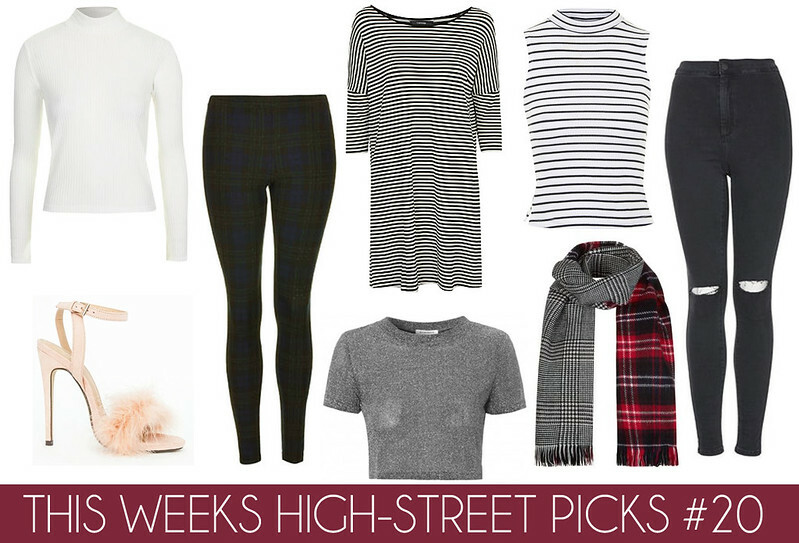 I've been meaning to do a wish list post for a while as there is so much I'm loving on the high-street at the moment. I'm loving polo necks at the moment as they're so versatile and go with everything! This time of year is perfect time to buy a pair of tartan leggings and feel all christmassy! As I'm typing this post I'm wearing a pair with my christmas jumper from Boohoo. I'm loving stripes more than ever at the moment and I found this beauty online at Asda. Definitely check out George at Asda's Dresses as they're so cheap and super affordable. I treated myself a few days ago and picked up this Glamorous top and it''s currently 50% off with the code SAVE50 go grab yourself a bargain! I need that scarf and those jeans in my life right now! I adore the stripes theme and the fluffy pink heels are gorgeous. 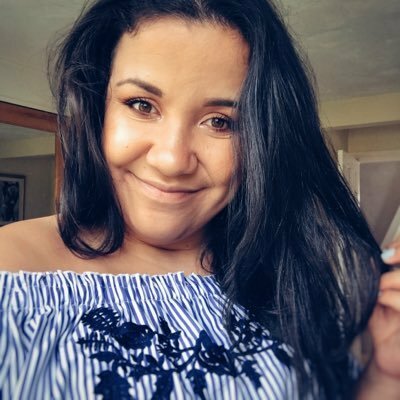 I'm a new follower of your blog and am excited to see more of your posts!